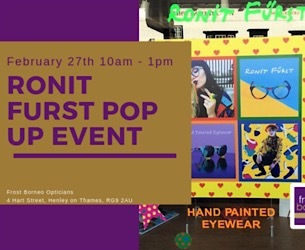 Experience amazing hand painted colour and design at our Ronit Furst pop up event on February 27th between 10am – 1pm. 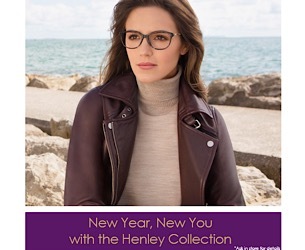 We’ll have the full collection on display PLUS the amazing new Prue by Ronit Furst collection – a winning collaboration between Prue Leith and Ronit Furst Eyewear. We’d love to see you! 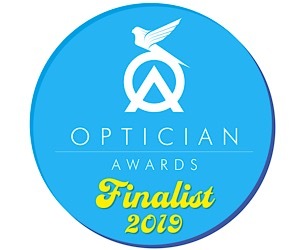 We are so proud and excited to announce that we have been shortlisted as a finalist in the category ‘Independent Practice of the Year’ at The Optician Awards. These prestigious awards are notoriously hard to be recognised at so to be a finalist is AMAZING! Well done us! Frost Borneo are proud to announce we are now part of The Henley Card; an exciting initiative that offers discounts for shopping locally. 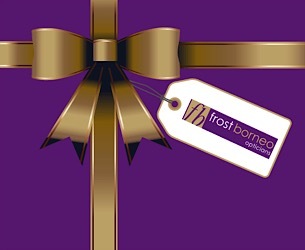 All Henley Card members will receive £30 off any frame from our Frost Borneo collection. This includes Tiffany, Swarovski, Zegna and SALT. They’ll also receive free single vision lenses with MyChoice. 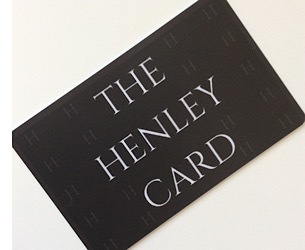 Apply for your card at thehenleycard.co.uk today! The new year is always a good time for a change of image! And with our Henley Collection you can get a complete new look from £130! This includes frame, single vision lenses and an anti-reflection coating. Pop in and browse the collection! This December sees the arrival of our annual gift card tree. Pop in and take a card from the tree to receive gifts including free Optomap and OCT scans, money off frames, free spectacle cleaning kits and free upgrades on lenses. Merry Christmas! Neil, Catalina and the team would love you to join us between 4-8pm on Thursday 6th December for prosecco and canapes while browsing the Cartier range. 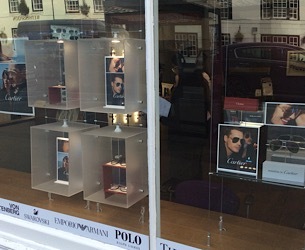 The rep will be here with the full range, including frames whose price point has been reduced to keep them in line with other luxury brands. We’d love to see you!